3-George Edward Dobson was born on 12 Jul 1872 in Exton, Tasmania and died on 1 Apr 1945 in Yolla, Tasmania at age 72. George married Mary Ann Fielding, daughter of James Fielding and Ann Clarke, on 26 Apr 1899 in Port Frederick. Mary was born on 30 Mar 1869 in Westbury, Tasmania and died on 8 Jul 1945 at age 76. George Edward Dobson married Mary Fielding on the 26th April, 1899. They lived on the home property where all their children were born. Harry, their youngest son, recalls that he was about five years of age when the family left Pineroad which would have made it about 1916. They lived at Elliott near Yolla, and Sulphur Creek for a time. They then shifted to Yolla where they remained until their deaths in April and July of 1945. Harry and his wife farmed at Boat Harbour and some of Stanley's family is still at Yolla. 4-Ethel Nellie Dobson was born on 11 Apr 1900 in Pine Road, near Penguin and died on 1 Jan 1977 at age 76. Ethel married Patrick Brooks, son of Nicholas John Brooks and Catherine Kennedy, on 10 Nov 1923 in Smithton. Patrick was born on 17 Mar 1898 in Oatlands and died on 11 Nov 1975 at age 77. They had five children: Ethel June, Dorothy Jean, Patricia Mary, Joyce May and Leonard John. 5-Ethel June Brooks was born on 7 Jun 1924, died on 15 Nov 2005 in Tasmania at age 81, and was buried on 18 Nov 2005 in Burnie, Tasmania. Another name for Ethel was June. Ethel married Lloyd Vernon Campbell. Lloyd was born on 30 Jan 1921. They had four children: Raymond John, Peter Robert, Pauline Ann Brooks and Barry Lloyd. 6-Raymond John Campbell was born on 18 Oct 1947 and died before 15 Nov 2005. Raymond married Maurine Foster. Maurine was born on 19 Aug 1945. They had three children: Danielle Monique, Alistear Duncan and Philippa Kate. 7-Danielle Monique Campbell was born on 17 Aug 1969. 7-Alistear Duncan Campbell was born on 24 Jun 1977. 7-Philippa Kate Campbell was born on 3 Jun 1979. 6-Peter Robert Campbell was born on 7 Dec 1949. Peter married Kerrie Ann McCarthy. Kerrie was born on 23 Oct 1950 and died before 15 Nov 2005. They had five children: Kerri Ann, Debbie, Vickie Marie, Damien Robert and Jason Peter. 7-Kerri Ann Campbell was born on 23 Jul 1973. 7-Debbie Campbell was born on 3 Apr 1975. 7-Vickie Marie Campbell was born on 25 Nov 1976. 7-Damien Robert Campbell was born on 4 Sep 1980. 7-Jason Peter Campbell was born on 25 Oct 1981. 6-Pauline Ann Brooks Campbell was born on 7 Dec 1949. 6-Barry Lloyd Campbell was born on 19 Oct 1953. Barry married Dianne Hope. Dianne was born on 19 Oct 1953. They had two children: Bronwyn Jane and Anna Cathryn. 7-Bronwyn Jane Campbell was born on 7 Jul 1978. 7-Anna Cathryn Campbell was born on 23 Nov 1982. Ethel next married Lloyd Verdon Campbell. Lloyd was born on 30 Oct 1921. They had four children: Raymond John, Peter Robert, Pauline Ann Brooks and Barry Lloyd. 5-Dorothy Jean Brooks was born on 24 Jul 1925. Dorothy married Refik Emin. Refik was born on 3 May 1923. Another name for Refik is Tom. They had five children: Geoffrey, Shirley, John, Shane and Patrick. 6-Geoffrey Emin was born on 18 Mar 1948. Geoffrey married Gaylene Howard. Gaylene was born on 16 Mar 1949. They had two children: Michael and James. 7-Michael Emin was born on 23 May 1968. 7-James Emin was born on 12 Jan 1970. 6-Shirley Emin was born on 30 Sep 1949. Shirley married John Victor Hooper. John was born on 29 Mar 1951. They had one son: Jason. 7-Jason Hooper was born on 22 Sep 1972. 6-John Emin was born on 29 Mar 1951. John married Pauline Ann Summers. Pauline was born on 1 May 1952. They had two children: Tania and Danielle. 7-Tania Emin was born on 8 Apr 1971. 7-Danielle Emin was born on 13 Feb 1976. 6-Shane Emin was born on 15 Apr 1954. 6-Patrick Emin was born on 10 May 1957. Patrick married Debbie Boxhall. Debbie was born on 13 Mar 1957. They had two children: Rebecca and Jessica. 7-Rebecca Emin was born on 8 Jul 1980. 7-Jessica Emin was born on 25 Mar 1984. Dorothy next married Tom (Refik) Emin. Tom was born on 3 May 1923. Another name for Tom is Tom. They had five children: Geoffrey, Shirley, John, Shane and Patrick. 5-Patricia Mary Brooks was born on 16 Feb 1928. Patricia married Henry John Adams. Henry was born on 22 Oct 1925. They had four children: Brian John, Leonard James, Graeme Patrick and Barbara Robyn. 6-Brian John Adams was born on 11 Jul 1951. Brian married Denise Kckinnon. Denise was born on 16 Aug 1951. They had two children: Dale Yardley and Ainsley Kate. 7-Dale Yardley Adams was born on 4 Oct 1978. 7-Ainsley Kate Adams was born on 15 Apr 1982. Brian next married Denise McKinnon. Denise was born on 16 Aug 1951. They had two children: Dale Yardley and Ainsley Kate. 6-Leonard James Adams was born on 15 Aug 1953. 6-Graeme Patrick Adams was born on 16 Jan 1955. Graeme married Gail Janice Membry. Gail was born on 8 Jun 1954. 6-Barbara Robyn Adams was born on 11 Feb 1959. Barbara married Michael Richard Brown. Michael was born on 17 Oct 1955. They had one son: Shaun David. 7-Shaun David Brown was born on 7 Mar 1983. 5-Joyce May Brooks was born on 5 Jul 1929. Joyce married William James McEwin. William was born on 26 Sep 1920. They had four children: Michael Wayne, Leon Patrick, Marilyn Ethel and Julie Ann. 6-Michael Wayne McEwin was born on 1 Oct 1950. Michael married Anne Bennett. Anne was born on 26 Jan 1951. They had two children: Philip and Anita. 7-Philip McEwin was born on 18 Mar 1970. 7-Anita McEwin was born on 29 Sep 1972. 6-Leon Patrick McEwin was born on 8 Sep 1954. 6-Marilyn Ethel McEwin was born on 4 Mar 1955. Marilyn married Trevor Neil Sturzaker. Trevor was born on 25 Jun 1952. They had two children: Tony and Paul. 7-Tony Sturzaker was born on 26 May 1973. 7-Paul Sturzaker was born on 19 Dec 1976. 6-Julie Ann McEwin was born on 3 Aug 1958. Julie married David Mathews. David was born on 9 Sep 1956. They had three children: Garry, Robert and Craig. 7-Garry Mathews was born on 1 Feb 1979. 7-Robert Mathews was born on 9 Jun 1982. 7-Craig Mathews was born on 7 May 1984. 5-Leonard John Brooks was born on 15 Aug 1931, died on 25 Aug 1982 at age 51. Leonard. No. 6/914 C.P.L., R.A.S.S.C. enlisted for army service on 24 March 1953. After training at Brighton, he served in Korea and was discharged on 23 March 1959. Leonard married Patricia Davies. Patricia was born on 25 Apr 1933. 4-Kathleen Mary Dobson was born on 2 Apr 1902 and died on 29 Dec 1979 at age 77. Kathleen married Vernon Allan Atkinson, son of Thomas Atkinson and Alice Annie Wilson, on 26 Sep 1923 in Baptist Manse, Wynyard, Tasmania. Vernon was born on 14 Apr 1902 in Morville Road, Burnie and died on 1 Sep 1970 at age 68. They had nine children: Ronald Allan, Maxwell, Harold George, Avis, Joan Mary, Beverley Joy, Edwin Thomas, Margaret and Alvin. 5-Ronald Allan Atkinson was born on 6 Jan 1924 and died on 16 Jul 1973 at age 49. 5-Maxwell Atkinson was born on 16 Aug 1925. 5-Harold George Atkinson was born on 13 Jul 1927. Harold married Margaret Reeves. Margaret was born on 28 Dec 1930. They had three children: Carol Anne, Teena Joy and Terry Charles. 6-Carol Anne Atkinson was born on 6 Jun 1951. Carol married Anthony Nottle. Anthony was born on 3 Nov 1950. They had one daughter: Jaclyn Louise. 7-Jaclyn Louise Nottle was born on 14 Sep 1981. Carol next married Patrick Anthony Mervin Ryan. They had one daughter: Patrice Maree. 7-Patrice Maree Ryan was born on 23 Mar 1972. 6-Teena Joy Atkinson was born on 3 Jun 1953. Teena married Ian Hannah. Ian was born on 17 May 1952. 6-Terry Charles Atkinson was born on 23 Apr 1956. 5-Avis Atkinson was born on 14 Sep 1931. Avis married John Alexander White. John was born on 25 Oct 1931. They had four children: Rodney John, Gregory Allan, Di-Anne and Leon Barry. 6-Rodney John White was born on 23 Oct 1956. Rodney married Jo-Anne Butler. Jo-Anne was born on 6 May 1961. They had one daughter: Melissa Jane. 7-Melissa Jane White was born on 15 Jul 1984. 6-Gregory Allan White was born on 27 Sep 1958. 6-Di-Anne White was born on 21 Sep 1962. 6-Leon Barry White was born on 6 Oct 1964. 5-Joan Mary Atkinson was born on 5 Sep 1933. Joan married John Sutherland. John was born on 30 Oct 1926. They had three children: Wayne John, David Allan and Anthea Joy. 6-Wayne John Sutherland was born on 30 Sep 1962. Wayne married Felicity. Felicity was born on 7 Apr 1963. They had one son: Luke John. 7-Luke John Sutherland was born on 7 Oct 1983. Wayne next married Felicity. Felicity was born on 7 Apr 1963. They had one son: Luke John. 6-David Allan Sutherland was born on 22 Aug 1964. 6-Anthea Joy Sutherland was born on 2 Feb 1967. 5-Beverley Joy Atkinson was born on 4 Jan 1937. 5-Edwin Thomas Atkinson was born on 9 Aug 1938. 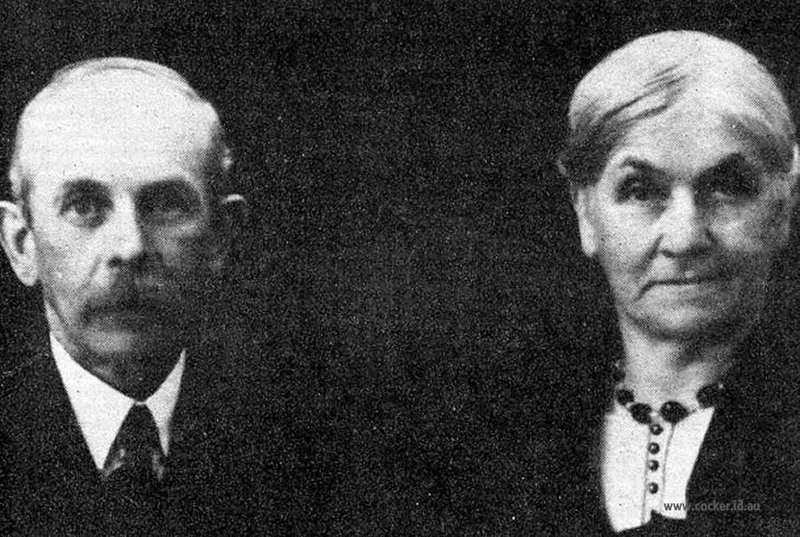 Edwin married Dulcie May Richards. Dulcie was born on 31 Oct 1942. They had three children: Sandra Julie, Vicki Louise and Kerry Allan. 6-Sandra Julie Atkinson was born on 11 Sep 1964. 6-Vicki Louise Atkinson was born on 24 Nov 1965. 6-Kerry Allan Atkinson was born on 27 Mar 1971. 5-Margaret Atkinson was born on 31 Jul 1941. Margaret married James Thornton Carew. James was born on 6 Dec 1937. They had three children: Stephen James, Mark Andrew and Bronwyn Cheryl. 6-Stephen James Carew was born on 25 Mar 1959. Stephen married Heather Anne Williams. Heather was born on 4 Apr 1962. They had two children: Natasha Anne and Danielle. 7-Natasha Anne Carew was born on 3 Dec 1984. 7-Danielle Carew was born on 3 Jan 1987. 6-Mark Andrew Carew was born on 8 Nov 1961. Mark married Sandra Gaye Barker, daughter of Dudley Arthur Barker and Janice Lillian Guard. Sandra was born on 22 Mar 1963. 6-Bronwyn Cheryl Carew was born on 27 Jul 1963. Bronwyn married Timothy Shane Dwyer. Timothy was born on 29 Jan 1961. They had two children: Kylie Letitia and Nicole Kristie. 7-Kylie Letitia Dwyer was born on 11 Jan 1984. 7-Nicole Kristie Dwyer was born on 9 May 1988. 5-Alvin Atkinson was born on 21 May 1944. Alvin married Janette Mary Pierce. Janette was born about 1946. 4-Hazel Annie Dobson was born on 24 Mar 1905 in Penguin and died on 10 Oct 1976 at age 71. Hazel married Archibald George Whiteley, son of William George Whiteley and Lavinia Elmer, on 8 Jan 1930 in Yolla, Tasmania. Archibald was born on 27 Mar 1904 in East Meander, Deloraine, Tasmania and died on 11 Aug 1965 at age 61. They had one son: Geoffrey Eugene. 5-Geoffrey Eugene Whiteley was born on 21 Nov 1930. Geoffrey married Sylvia Irene Barnard. Sylvia was born on 16 May 1933. They had one daughter: Janne Gaylene. 6-Janne Gaylene Whiteley was born on 18 Aug 1959. Janne married Stephen Henry McIhenny. Janne next married Stephen Henry McIllhenny. Stephen was born about 1958. 4-Stanley Dobson was born on 26 Jun 1907 in Penguin and died on 22 Jan 1980 at age 72. Stanley married Amelia Breadon. Amelia was born on 29 Apr 1915. They had two children: Janet Amelia and Lindsay. 5-Janet Amelia Dobson was born on 5 Feb 1938. Janet married Noel Frederick Smith. Noel was born on 7 Dec 1934. They had two children: Graham Donald and Lindy Ann. 6-Graham Donald Smith was born on 28 Aug 1960. 6-Lindy Ann Smith was born on 11 Feb 1963. 5-Lindsay Dobson was born on 27 Jan 1943. Lindsay married Leila Beamish. Leila was born on 21 Nov 1943. They had four children: Robert Lindsay, Allan Stanley, Terrance John and Sharon Maree. 6-Robert Lindsay Dobson was born on 24 Sep 1962. 6-Allan Stanley Dobson was born on 31 Mar 1965. 6-Terrance John Dobson was born on 22 Dec 1966. 6-Sharon Maree Dobson was born on 18 Jul 1968. 4-Henry James Dobson was born on 29 Oct 1910 in Pine Road, near Penguin and died on 26 May 1987 at age 76. Henry married Edna Mavis Byard, daughter of Frank Percival Byard and Alice Maud Mary Stevens. Edna was born on 30 Sep 1918 in Mooreville Road, Burnie. They had three children: Margaret, Barbara and Maxine. 5-Margaret Dobson was born on 23 May 1940. Margaret married Max Austin. Max was born on 24 Feb 1938. They had four children: Wayne, Leigh, Michelle and Trent. 6-Wayne Austin was born on 16 Jun 1961. 6-Leigh Austin was born on 8 May 1963. 6-Michelle Austin was born on 22 May 1965. 6-Trent Austin was born on 14 Mar 1969. 5-Barbara Dobson was born on 29 Dec 1943. Barbara married Brian Marsh. Brian was born on 11 Jan 1940. They had two children: Andrew and Wendy. 6-Andrew Marsh was born on 5 May 1969. 6-Wendy Marsh was born on 24 Apr 1972. 5-Maxine Dobson was born on 22 Jun 1949. Maxine married Peter Ewington. Peter was born on 11 Jun 1948. They had three children: Sharon, Scott and Mark. 6-Sharon Ewington was born on 2 Oct 1977. 6-Scott Ewington was born on 16 Oct 1979. 6-Mark Ewington was born on 22 Dec 1981.